Make your mail stand out from the pile and reinforce your brand with custom printed Pantone® Envelopes. This is the workhorse of business envelopes, and is used for everything from statments to newsletters to mailing campaigns. The paper these envelopes are made from is perfect for colour reproduction and logo printing. The Forest Stewardship Council ® (FSC) logo printed on the back of this envelope denotes the paper is produced via responsible forestry is ideal for those who are environmentally conscious. This is a standard #10 envelope and can be used for a wide range of projects and mailings. Logos, postal stamps and other static elements can be printed on the front of the envelopes. Artline or Security envelopes are printed with a pattern on the inside to make it impossible to see the contents. The size of this envelope is a standard #10 and is commonly used for a wide range of mailing campaigns, business correspondance, or general use. This envelope features a window that allows addresses or other content one the enclosures to be seen. Static elements such as return addresses, logos, or postal stamps are commonly printed on the outside. This envelope features a window that allows addresses or other content on the enclosures to be seen. Static elements such as return addresses, logos, or postal stamps are commonly printed on the outside. The Forest Stewardship Council ® (FSC) logo printed on the back of this envelope denotes the paper is produced via responsible forestry is ideal for those who are environmentally conscious. This envelope features a window that allows addresses or other content one the enclosures to be seen, as well as a pressure senstitive adhesive on the flap. Static elements such as return addresses, logos, or postal stamps can be printed on the front, and the Forest Stewardship Council ® (FSC) logo is printed on the back of this envelope denoting the paper is produced via responsible forestry. Generally used as a return envelope for mailing campaigns, these can be pre-printed with a return address and a postal stamp. The bright white paper is also ideal for colour reproduction. Artline or Security envelopes are printed with a pattern on the inside to make it impossible to see the contents. 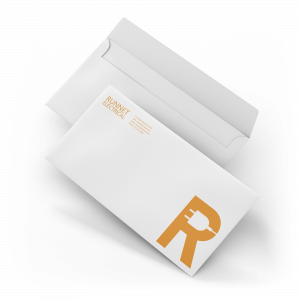 The size of this envelope is specifically designed to fit into a standard #10 and is commonly used as a return envelope for mailing campaigns or business correspondence. This envelope features a clear, plastic window to allow content or an address to show through. This eliminiates the need to print variable addresses on the envelope itself, and allows static elements such as postal stamps or logos to be included. This envelope is designed as a return envelope to be included with invoices or statements. The size makes it easy to fit into a standard #10 envelope, and the extended flap ensure the contents remain secure. The flap and opening on this envelope is on the short end, and the size can accommodate thicker items, making it ideal for mailing campaigns or sending small catalogs and sales packages. The bright white of the paper is ideal for colour reproduction for company logos. This size is compatible with a 7x10 item, and can hold several pieces or thicker items like catalogs and brochures. The flap and opening is located on the short end of the envelope and the white stock is ideal for reproducing Pantone ® colours. The size of this envelope is designed to fit unfolded letter-sized pieces, and can accomodate thicker items or multiple sheets. This stock is also Forest Stewardship Council ® (FSC) certified denoting the paper is produced via responsible forestry, so is excellent for those who are environmentally conscious. The opening on the short edge makes it easy to load documents and papers. This Envelope size is ideal for presentation folders and other items that are slightly larger than a standard 8.5x11. This style is referred to as a "Catalog" or "Open End", as the flap and opening is on the short side. This stock is also Forest Stewardship Council ® (FSC) certified denoting the paper is produced via responsible forestry, so is excellent for those who are environmentally conscious. The size of this envelope is designed to fit unfolded letter-sized pieces, and can accomodate thicker items or multiple sheets. This stock is also Forest Stewardship Council ® (FSC) certified denoting the paper is produced via responsible forestry, so is excellent for those who are environmentally conscious. The opening on the long edge makes inserting booklets or catalogs effortless. This Envelope size is ideal for presentation folders and other items that are slightly larger than a standard 8.5x11. This style is referred to as a "Booklet" or "Open Side", as the flap and opening is on the long side. This stock is also Forest Stewardship Council ® (FSC) certified denoting the paper is produced via responsible forestry, so is excellent for those who are environmentally conscious. This size is perfect for unfolded legal-sized 8.5x14 items, and the opening and flap on the short end make inserting items easy. The bright white stock is ideal for colour reproduction and Pantone ® printing. Ideal for legal-size documents, this style is an Open End, meaning the flap is on the short end of the envelope. The white colour is perfect for accurate reproduction of corporate colours. 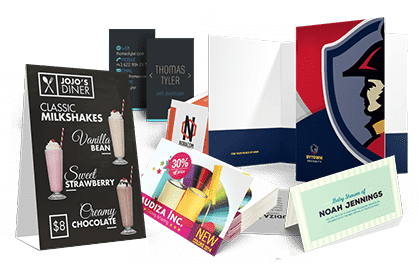 The flap and opening on this envelope is on the long end, and the size can accommodate thicker items, making it ideal for mailing campaigns or sending small catalogs and sales packages. The bright white of the paper is ideal for colour reproduction for company logos. Ideal for invitations, cards, and postcards, this envelope can comfortably fit a 4x6 enclosure. It can also fit smaller sized invitation envelopes to be used as return or RSVP envelopes. This envelope has Forest Stewardship Council ® (FSC) certification denoting the paper is produced via responsible forestry. Forest Stewardship Council ® (FSC) certification denoting the paper is produced via responsible forestry makes this envelope a green choice. This size is the companion envelope to a 5x7 greeting card, post card, or note. The size of this envelope is designed to fit unfolded letter-sized pieces, and can accomodate thicker items or multiple sheets, while the opening and flap on the short edge makes inserting easy. The Forest Stewardship Council ® (FSC) logo printed on the back denotes the paper is produced via responsible forestry, and the unbleached kraft paper is also a green choice. This Envelope size is ideal for presentation folders and other items that are slightly larger than a standard 8.5x11. This style is referred to as a "Catalog" or "Open End", as the flap and opening is on the short side. This stock also comes with the Forest Stewardship Council ® (FSC) certification denoting the paper is produced via responsible forestry, so is excellent for those who are environmentally conscious. The unbleached and recycled kraft finish is also a sound environmental choice. This is is companion size for a mail piece or correspondence that is 6x9. The flap and opening are on the short end of the envelope. The Forest Stewardship Council ® (FSC) logo printed on the back denotes the paper is produced via responsible forestry is ideal for those who are environmentally conscious, as is the kraft finish, and this size could contain a smaller envelope to be used for a return piece. Using the Pantone® printing process ensures that your colours will be the same the first time and the hundredth time your customers receive your envelopes. Premium paper options add a further high-end feel to the envelopes. 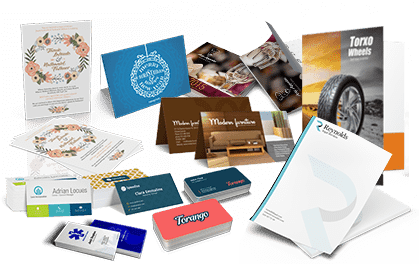 As many of these options are also available as letterhead, this will further strengthen your company’s identity. Available in many sizes and with the option for windows, there is sure to be an envelope to meet your needs. This process is ideal for artwork that does not cover more than 30% of the envelope, and does not bleed, such as a logo plus address line. 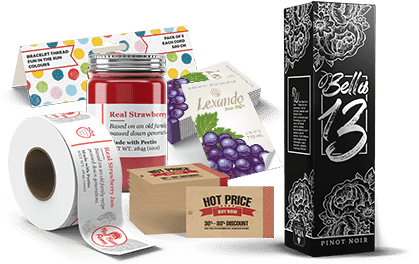 For envelopes with Full Color printing, please check out our Full Colour Offset Envelopes or Full Colour Digital Envelopes. The most common order options are #10 Regular Envelopes (9.5" x 4.125") on #24 Bond paper. To match the company letterhead, they are almost always printed in 1 or 2 colors, including a Pantone color, on one side (1/0, 2/0) and do not have a coating. #10 Envelopes fit standard 8.5" x 11" letterhead folded in thirds.